“Tarkovsky for me is the greatest,” wrote Ingmar Bergman. Andrey Tarkovsky only made seven films, but all are celebrated for its striking visual images, quietly patient dramatic structures, and visionary symbolism. 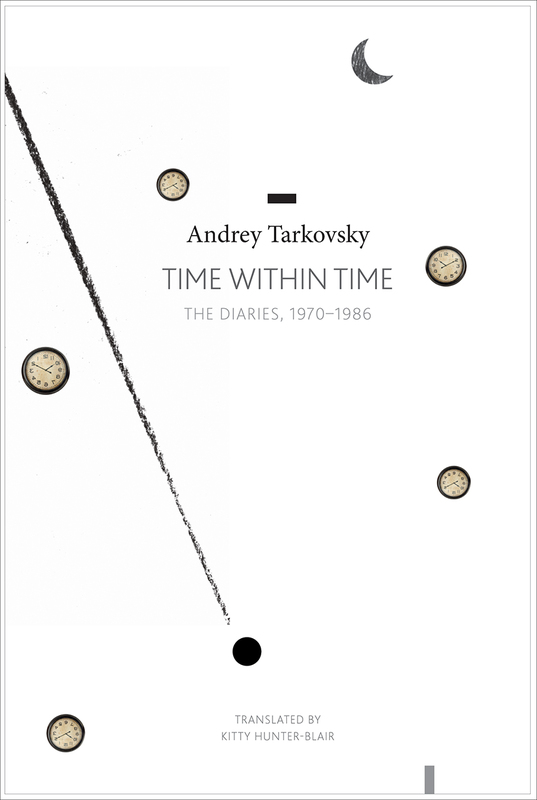 Time within Time is both a diary and a notebook, maintained by Tarkovsky from 1970 until his death. Intense and intimate, it offers reflections on Dostoyevsky, Tolstoy, Hermann Hesse, Thomas Mann, and others. He writes movingly of his family, especially his father, Arseniy Tarkovsky, whose poems appear in his films. He records haunting dreams in detail and speaks of the state of society and the future of art, noting significant world events and purely personal dramas along with fascinating accounts of his own filmmaking. Rounding out this volume are Tarkovsky’s plans and notes for his stage version of Hamlet; a detailed proposal for a film adaptation of Dostoyevsky’s The Idiot; and a glimpse of the more public Tarkovsky answering questions put to him by interviewers.